As a Financial Advisor at Smith Moore, Troy Van Rie provides financial advice to all age groups and account sizes. 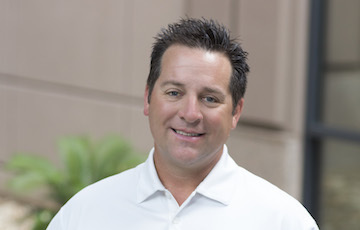 Troy joined the financial industry in 1992, and in utilizing more than 20 years of experience, he is able to develop a portfolio of investments tailored to the individual based on their risk tolerance and time horizon. Troy graduated from Truman State University with a BA in speech communications. Outside the office, he enjoys hunting deer and turkey, and target shooting. Troy currently lives in Kirksville, MO with his wife, Paula. Their four children keep them very active with many different activities. Their daughter, Emily, is an avid golfer; Miranda and her horses, Sugar and Maybe, are barrel racers; Vanessa is a varsity cheerleader; and Zack is crazy about hunting, shooting, and the outdoors.